Magnetic Resonance Cholangio Pancreatography (MRCP) is a new noninvasive imaging technique for the evaluation of bilio-pancreatic disorders. 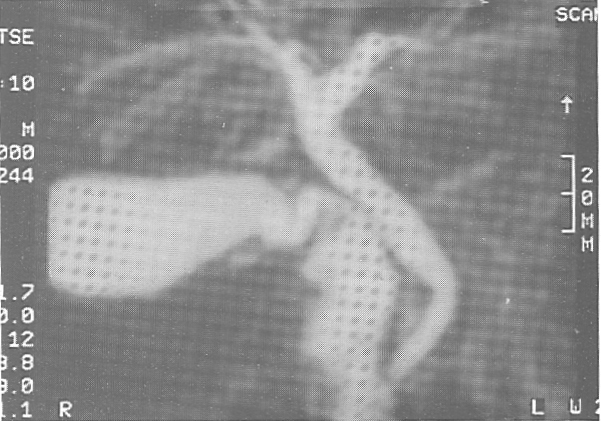 Different sequences, using both breth­hold and nonbreath-hold techniques, have been employed in order to obtain MRCP images. The authors discuss the technical aspects, particularly focusing their attention on a nonbreath-hold, threee-dimensional, fat-suppressed Turbo Spin Echo sequence, optimised on a 0.5T magnet with 15 mT/m gradients. Clinical applications of MRCP are evaluated, presenting data from both the literature and the personal experience. The main indication for MRCP study is represented by the evaluation of common bile duct obstruction, with the aim of assessing the presence of the obstruction (accuracy: 91-100%) and, subsequently, the level (accuracy: 85-100%) and the cause. The utility of associating conventional Magnetic Resonance (MR) images to MRCP in malignant strictures, in order to characterize and stage the malignant lesion is also discussed. Finally, data are presented regarding the indictions and the utility of MR-pancreatography in the evaluation of patients with chronic pancreatitis. During the period from January 1995 to January 1996 blood units from 8747 blood donors were screened for blood-borne viruses at King Khalid University Hospital, Riyadh, Saudi Arabia. These tests included HBsAg, antibodies to hepatitis C virus (anti-HCV), antibodies to human immunodeficiency viruses (anti-HIV-1/2). During the same period 1500 blood units were screened for antibodies to human T-cell lymphotropic virus type 1 (anti-HTLV-1). Among the 8747 blood donors, 2.7% were found to be HBsAg-positive on initial screening but 2.2% were confirmed as HBsAg-positive. Regarding HCV, 2.8% were anti-HCV-positive on initial screening but the percentage dropped down to 1.6% on confirmation and only 12 (0.14%) were considered indeterminant by line immunoassay. None of the donors was confirmed anti-HIV­ positive but five were diagnosed as indeterminant by western blot. Only four were anti-HTLV- I - positive on initial screening but were diagnosed as indeterminant by western blot. In total, 492 (5.6%) of the blood units tested were reactive for any one of the four viruses on screening but only 327 (3.7%) were confirmed positive. All 492 blood units were not recommended for transfusion. This raises the question of the usefulness of confirmatory testing in blood donation. We believe the confirmation is only important for counseling the donor and a non-reactive result on confirmation should not interfere with the decision of not recommending the blood for transfusion. Swallowing transiently increases heart rate. 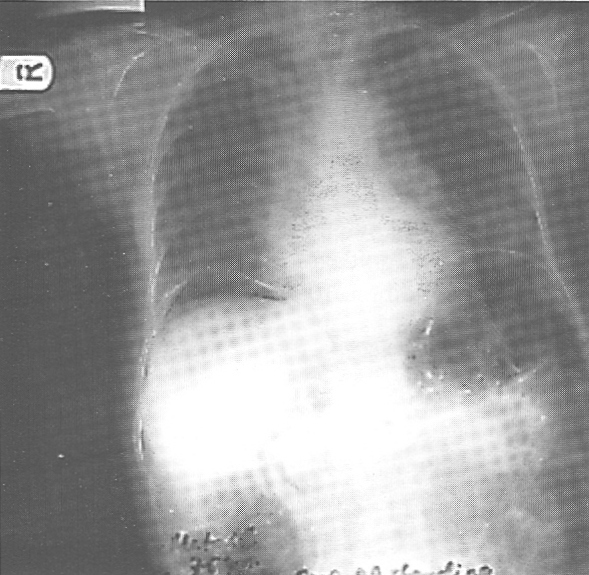 One of the authors developed pronounced bradycardia while breath holding, particularly after an expiration. 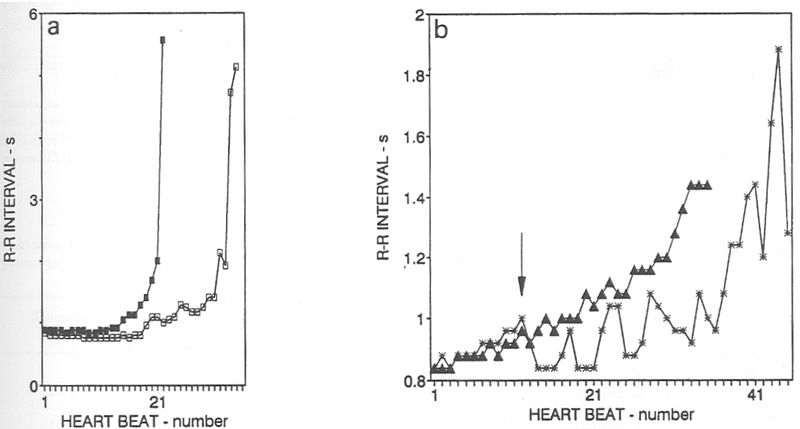 The objective, therefore, was to study his cardiac responses during swallowing as pronounced bradycardia developed. When, after a maximum inspiration (supine), the heart rate slowly fell below 50 beats min' well-defined P waves (lead II) disappeared. By swallowing 6 times on command after the P waves disappeared his heart rate increased immediately (68 ± I beats min-'; n=6). P waves with similar morphology to those pre-swallowing were recorded 0.7 ± 0.1 s (n=6) after the first swallow. He continued breath holding after swallowing. P waves again disappeared, although at faster heart rates (57 ± I beats min'; n=6). Furthermore, well-defined P waves were observed after the second disappearance at heart rates within the range 30-40 beats min'. Small amplitude P waves continued to be recorded from lead I with P wave disappearance in lead II, suggesting a pacemaker shift, although not to the av node. Autonomic nerves can shift the dominant pacemaker within the sa node. The present report indicates that increased vagal tone may be rapidly reversed by swallowing. Recent studies have suggested that amoxycillin may possess gastroprotective effects in addition to its known antimicrobial properties. Therefore, the present study was undertaken to investigate the potential gastric protective effects of amoxycillin and to determine its possible mechanism(s) of action in rats. Ethanol-induced gastric mucosal lesions in rats were used as an animal model. Nonprotein sulphydryl levels were measured spectrophotometrically. The antioxidant effect of amoxycillin was studied by luminol-dependent chemiluminescence technique in-vitro. Amoxycillin produced marked protection against ethanol-induced gastric lesions. The protective effect of amoxycillin was lost by prior treatment with a dose of indomethacin that is known to inhibit prostaglandin biosynthesis without induction of gastric ulcers. Furthermore, the concentration of nonprotein sulphydryls decreased significantly in gastric mucosa after administration of ethanol. Treatment with amoxycillin prevented this depletion. Additionally, amoxycillin dose-dependently inhibited the phorbol myristate acetate stimulated luminol dependent chemiluminescence responses of isolated human polymorphonuclear leukocytes in­vitro. 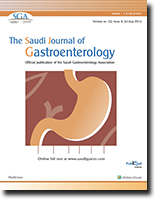 These data indicate that the gastric protection effects of amoxycillin against ethanol­induced lesions may include generation of mucosal prostaglandins, prevention of nonprotein of sulphydryl depletion and antioxidant properties. This is a retrospective study of 40 patients clinically suspected of having hepatocellular carcinoma. Group 1 (20) patients underwent laparoscopic Tru-cut needle liver biopsy and Group II (20 patients) underwent percutaneous blind needle liver biopsy. In the first group, in 17 (85%) of the patients, the diagnosis of hepatocellular carcinoma was confirmed by histopathology, direct observation of cirrhosis was seen in 8 (40%) patients, histopathology confirmation of cirrhosis was documented in 6 (35%) patients. In the second group, 14 (70%) of the patients were confirmed to have hepatocellular carcinoma histopathologically and no patients confirmed to have cirrhosis. Both procedures were safe. While ascitic leak from the infraumbilical incision was the only complication encountered in the 1st group, no complications were encountered in the 2nd group. The results support the premise that laparoscopy directed cutting needle biopsy is superior over other techniques in fulfilling all the diagnostic requirements for hepatocelullar carcinoma and associated liver cirrhosis which is important for surgical liver resection.